After the release of Sonic Mania in 2017, it was quite surprising to see Sega release another game — Sonic Forces — featuring the same protagonist in the same year. Sonic Mania looks and feels like a retro game, with punishing difficulty, retro graphics, and a level design style reminiscent of the early 90s. 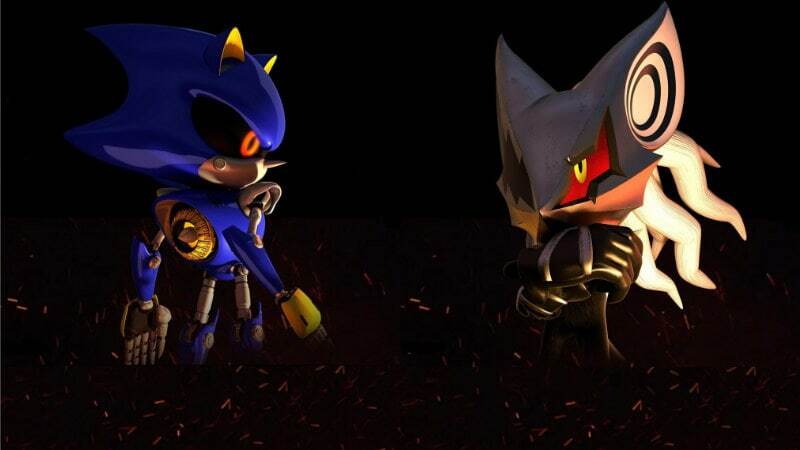 Its goal was as much to pay homage to the best of Sonic games as much as it was to create a great game. Sonic Forces is primarily a 3D platformer, with some sections that look more like a 2D side-scroller. Sonic Forces begins with the evil Doctor Eggman attacking the city where Sonic lives. The game begins with Sonic hearing about the attack and rushing back to repel the invaders, but he finds himself outmatched as Doctor Eggman has some incredibly powerful allies. 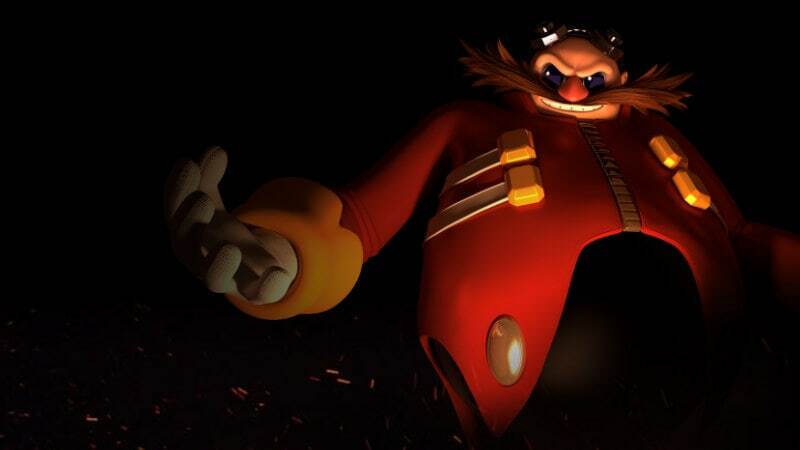 With Sonic defeated, Eggman’s forces take over the world in less than six months, with nothing but a ragtag group of resistance fighters being the world’s last hope. This is where one of the key new features of this game comes in. ALSO SEEThe Best Nintendo Switch Games of 2017. Well-known characters in the Sonic universe such as Knuckles are a part of the resistance, whose newest recruit is dubbed Rookie. This is the character you can customise and then control in certain levels. This game is heavy on customisation and after every level you unlock more items such as headgear, eyewear, bodysuits, different weapon styles, and more. If this appeals to you, then you can totally go nuts in the character creator mode at the beginning of the game and design your own wacky playable character. Through the game you unlock cool cosmetic items, some of which are only unlocked if you meet certain criteria while finishing missions, and you can then spend some time outfitting your character. The visuals in Sonic Forces are quite good too. The backgrounds in various levels, characters, the attacks your enemies throw at you, and the cutscenes with quick time events — everything looks great. We loved how levels handle various lighting conditions as you can go from bright sunlight to total darkness in moments. In darkness you’ll often see that there are neon cables in the air that you’re supposed to jump on and slide through. That’s a nice touch and keeps the player from wondering where to go next. Much as we liked the visuals and character customisation, there are a lot of things that bothered us about Sonic Forces. Let’s start with level design. Most of the levels look beautiful, but quite often we were left feeling that the game is playing itself, as many sections don’t require you to do anything. Although you get to run and jump, collecting coins and evading enemies, there are lots of sections where the character enters a mini-cutscene and executes a series of moves without you doing anything. When there are multiple such cinematic scenes in the middle of a level in a platformer, you’re left wondering whether the designers want you to play the game or just watch the action unfold. These scenes were jarring and prevented us from enjoying the game. We also didn’t like the fact that Sonic Forces rewards you for speedruns — completing a level really quickly without collecting all the bonuses will often give you a higher rank at the end of the level. Finishing any level will give you a C rank, and if you get a higher score, you could get B, A, or the best rank — S. We finished a couple of levels really quickly without dying even once and got an S but we didn’t collect any of the red bonus coins and didn’t even have many rings at the end of the level. The levels themselves are quite short and we took around five to seven minutes to complete most levels on the first try. There are plenty of levels to cross, but after a point it felt as though there wasn’t any depth in the game and it started feeling repetitive. You don’t even have to engage half the enemies in the game, just evade them and you can go through. In some places you need to finish them off to progress and even that feels shallow because your characters can only kill enemies by stomping them. There’s that big disconnect where Sonic and friends essentially kick enemies, throw rocks at them, or spin at high speeds while charging at them, but the enemies are technologically far superior and yet they die in droves. When you look at a boss with a mega machine and see Sonic defeat him literally by kicking him 12 times over the course of a boss fight, you really have to wonder what kind of weak tech the bosses have that they can’t permanently defeat this one super-fast hedgehog that’s keeping them from taking over the world. That’s pretty much the story of every boss fight — kick the boss or throw rocks at them to dismantle their futuristic technology — and it gets tiring really quickly. The game is newbie-friendly because Sonic can’t die as long as he has collected one ring. You lose some rings if you collide with an enemy or get hit by their weapons, but through the course of a level you will collect enough to make it through without many retries. The checkpoints are also quite generous and the controls overall are easy to understand. Analogue stick to move, X to jump, and triangle for the special ability is going to be easy to grasp for everyone. Sonic Forces’ story is decent, with a couple of neat plot twists along the way, but we just couldn’t stand the cringeworthy dialogue in the game. “This is no time for thinking, it’s time for running,” being one of the many examples of the atrocious exchanges in Sonic Forces. It’s quite sad to see such a mediocre Sonic game appearing in the same year as Sonic Mania, which was one of the best games ever made in this franchise. Sonic Forces could be a fun game for kids who haven’t yet developed the skills needed to beat a difficult platformer and since a lot of this game plays itself, they might enjoy the visuals and the experience. However, for most people Sonic Forces is a game best avoided, especially when Sonic Mania is around to give a taste of what the franchise should be aiming for.